The JobStart Initiative addresses participants' short-term needs so they can meet their long-term goals. Imagine clocking in at the beginning of your work day, not having eaten a single thing the day before. Instead of project deadlines and presentations, you’re thinking about your growling, empty stomach. The staff at Steepletown Neighborhood Services, a Feeding America West Michigan partner agency, understand that in order to meet a person’s long-term needs, you first have to meet their immediate needs. That’s why Steepletown’s JobStart initiative supports participants on and off the clock, which includes making sure their lunch break actually includes a lunch. JobStart focuses on empowering and equipping participants to be successful in the working world by teaching skills employers expect. Through Steepletown’s social enterprises, or in-house businesses, individuals go through an interview process and must meet certain requirements in income level, be a resident of Grand Rapids and face barriers to employment. They place participants in work experiences like kitchen prep, lawn care and janitorial services. “We would have people coming to work without eating all day,” Beals said. “And if you don’t have that nourishment for strength and stamina, you’re not going to be able to think clearly.” Those barriers include violence, legal trouble, homelessness, and especially hunger. While Beals initially began providing a snack with just a simple loaf of bread and some bologna, Feeding America West Michigan has allowed for a more nutritious variety. Yet Steepletown isn’t prescriptive. Alleviating the need for food is key to Steepletown’s goal of empowerment. It’s hard to get a house when you don’t have a job, and it’s hard to get a job when you’re fatigued from malnourishment. Donovan Harrison knows what that feels like. 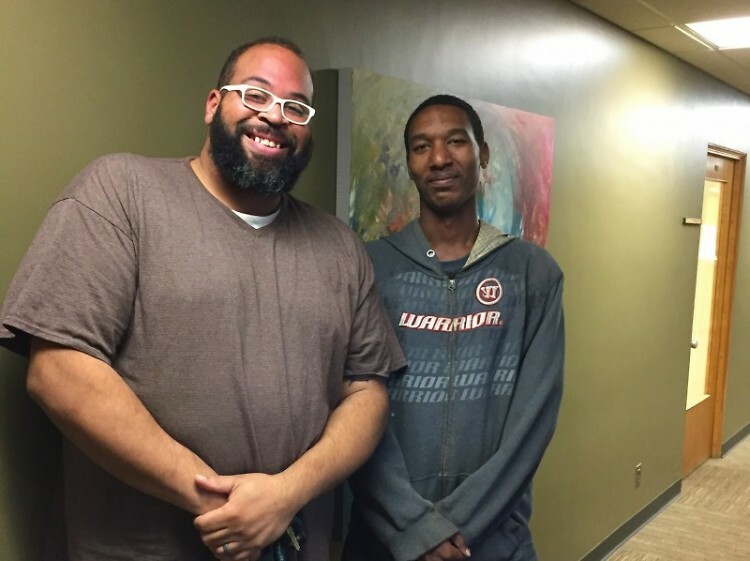 Harrison learned about JobStart through a friend at Family Outreach Center in Grand Rapids. Although he has a lot of family in the area, he lives mostly on his own, struggling with stable employment, finances, and housing. Strawberry PopTarts and noodles are his favorite items to grab from the pantry. The role of employee is not new to him. He’s been working since age 12, but he’s struggled to hold onto a job or advance to higher-paying positions. “I’ve had so many jobs. I never can seem to prosper, so I need a little bit of help,” Harrison said. Through JobStart, Harrison has found work in lawn care. He works an average of 20 hours a week at $10 an hour, providing him dependable experience and income. Harrison aspires to return to school after previously attending Grand Rapids Community College for a short time. He hopes to pursue a business and entrepreneurial degree. 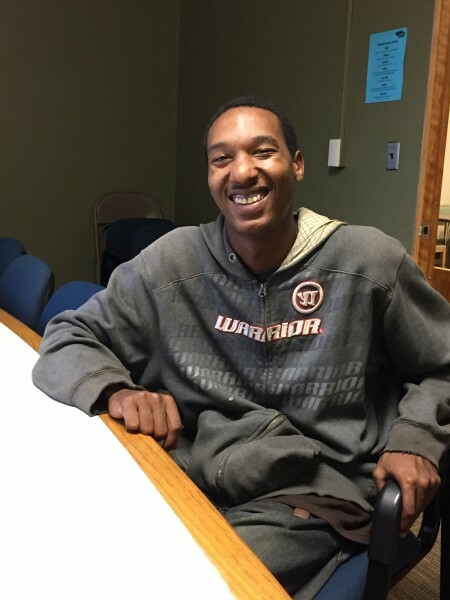 He loves to bake and while he’s considered culinary school, Harrison now aspires to become a realtor and focus on helping low-income people find good housing. This article was written by Ellie Walburg, communications intern at Feeding America West Michigan.